Everead: Guest Review: It's Christmas, David! 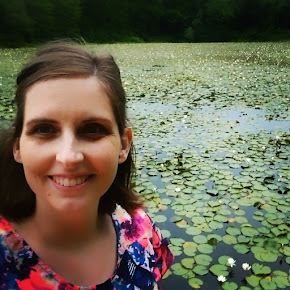 Today I'd like to introduce to you the first of our guest reviews in a new series! It comes from high school student Jazzlyn Carter. Fun fact: Jazzlyn and I share a birthday. Everyone loves the David books. The little boy does various bad things and gets yelled at over and over again. I feel the opposite. David books are all the same. He does everything in the book to defy the rules, and every page says, "No, David." He's constantly yelled at but never in real trouble, and there's never really a full story. By the end everything's fine and everybody's happy- until the next David book comes. In It's Christmas, David, David steals cookies, peeks at gifts,breaks ornaments, and everything else there is. But once again, he is forgiven when it's all over. While he books are very repetitive, I will say they touch on things children do everyday, and the responses they normally get. They are bright and colorful, and very realistic. David is the typical little boy, and it's good for kids to know that at the end of the day they'll always be loved. 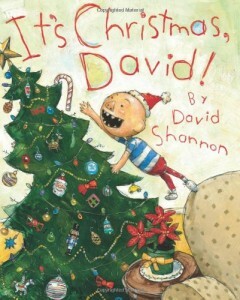 Because of the positive side of the never-ending "David" collection, I recommend this book to young kids around 1st grade. They can read it, understand it, and they won't get bored too easily. *Note: R stands for "Recommended." This review is part of a series of guest reviews by students in the Tap In Leadership Academy. Read more about this series of guest posts, here!